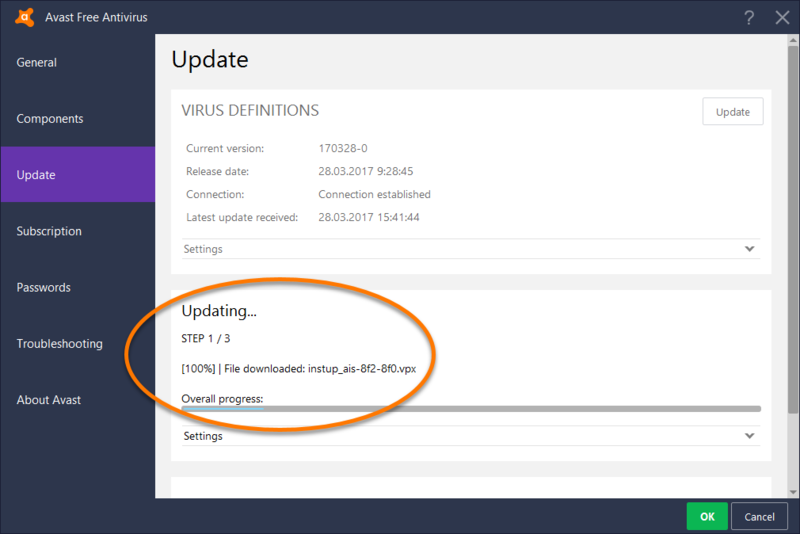 If you are using an older version of Avast Free Antivirus, you can upgrade to the latest version. Before you begin, ensure that you are logged into Windows with administrator permissions and all other programs are closed. 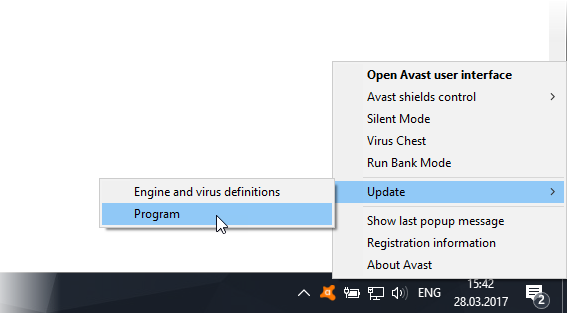 Hover your cursor over Update, then select Program from the context menu. A progress bar shows you the overall completion of the Program update. 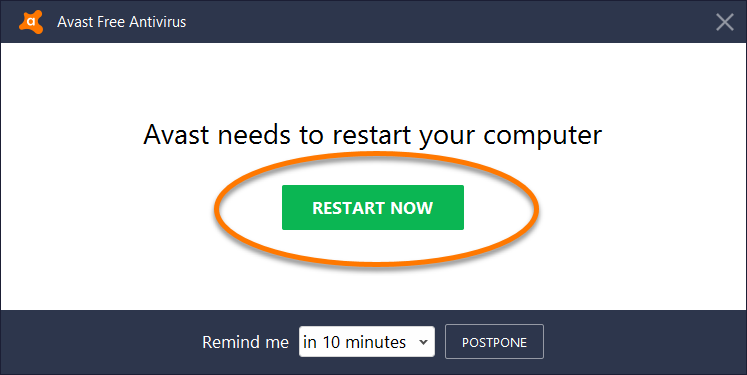 Click Restart now to reboot your PC. After your PC restarts, close the information screen to complete the upgrade process. Avast Free Antivirus is now upgraded to the latest version.